SG416, SG417, SG419 & SG421. Botswana 1978. Katalog-Nr. : 586/89 ZD. ist nicht ausweisbar. Very Fine, Mint NH. 1967 Scott #19-28 Birds. Very Fine, Mint Never Hinged. Botswana - Mint & used accumulation in stockbook. See pics below. Neues AngebotBotswana, Scott 337 - 340 in MH condition. Botswana Scott 337 - 340 in MH condition, as shown in the scan(s). ((P5.90) - 2005-15 - Kingfishers. Set of 5 values (5v Set) (P7.80) - 1985-95 - Rock Paintings. You will be back for more! 3) Select each item and 'Add to Basket'. Instead of “Buy It Now”. When you have completed your. 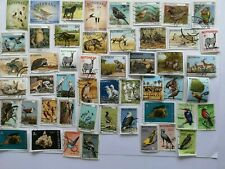 MNH = Mint Never Hinged / Unmounted Mint. BOT1. 1 OZ (28gm) BOTSWANA: POSTALLY USED KILOWARE, W/HIGHER VALUES. ON PIECE. BOT1. 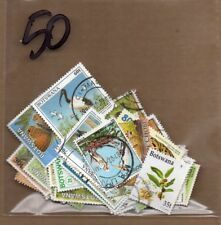 1 OZ BOTSWANA: POSTALLY USED KILOWARE, WITH HIGHER VALUES. USED ON PIECE. COLONIA INGLESE BOTSWANA. ANNO 1974- DEFINITIVA MINERALI. CATALOGO YVERT n.266- 79 - 14 VAL. NUOVI- MNH . SPEDIAMO SOLO TRAMITE RACCOMANDATA, ASSICURATA, CORRIERE ESPRESSO. Nice cover. Never a reserve. Botswana, Scott 33 - 42 in MNH condition. Botswana, Scott 132 - 135a in MNH condition. Botswana, Scott 384 - 387 in MNH condition. BOTSWANA, SC 221-24, 1978 Christmas Flowers issue. Full set of 4. MNH.